Providing value is the core of what you do as an Agency. Proving that you deliver that value is what builds the trust between you and your client. 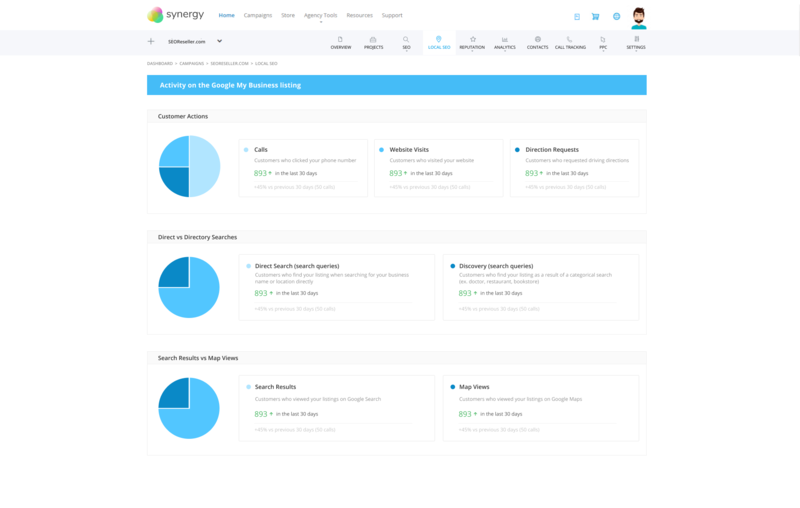 The Local SEO Dashboard integrates with the Google My Business account of your client and displays in a straight forward way the key indicators needed to assess the ROI of Local SEO campaign. Under a campaign, go to Settings > Integrations. 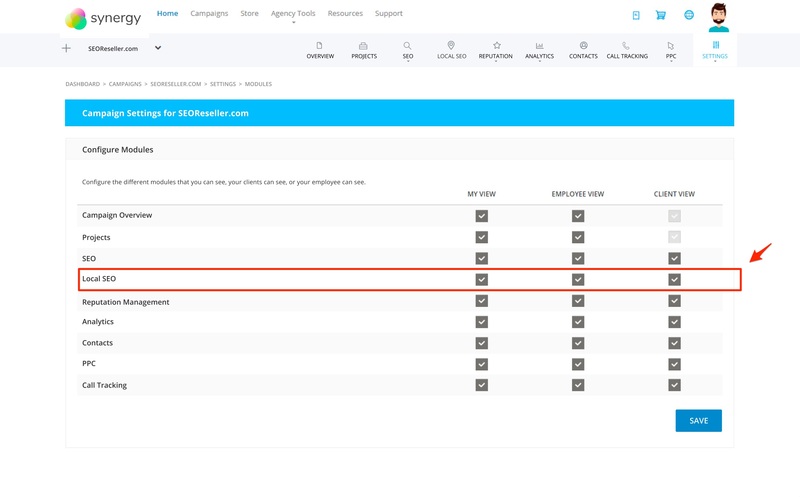 In the Google My Business section, connect the Google Account your client's GMB is integrated with, then choose the right location. To learn more on how to have your client share with you their Google My Business account, you can check this document from Google. Once the Google My Business is integrated, you can go to the Local SEO tab in the campaign dashboard and have a 30 days vs previous 30 days view. Activating the Local SEO Dashboard for your Client or Employee view in your white label dashboard. In the Settings > Campaign Settings, Click on "Configure Modules". Then activate or deactivate the Local SEO module per User Role.